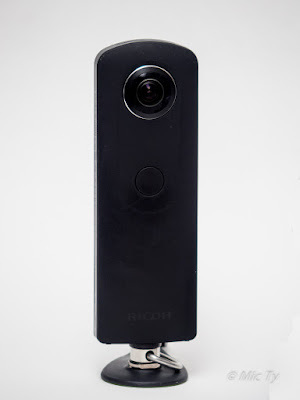 Here is an informal real-world resolution comparison between the Panono, a prosumer 360 camera ($1999; first impressions here) and the Ricoh Theta S ($299 street; reviewed here), the most popular 360 camera. 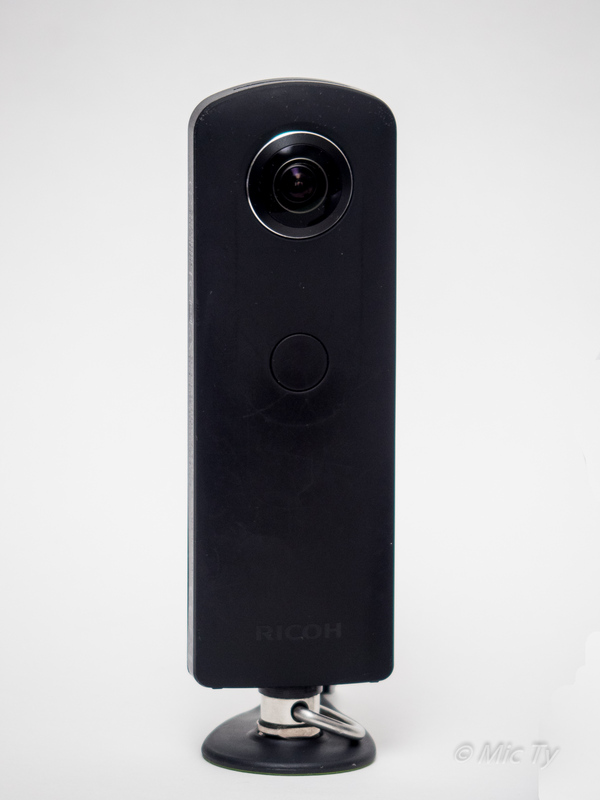 The Ricoh Theta S needs almost no introduction. It is the latest iteration of the first and still most popular 360 consumer camera. Its resolution is 14.5 megapixels (5376 x 3688). It is one of my favorite cameras for 360 photography because of its best-in-class stitching and its manual exposure controls, which make night sky photography possible, among other things. 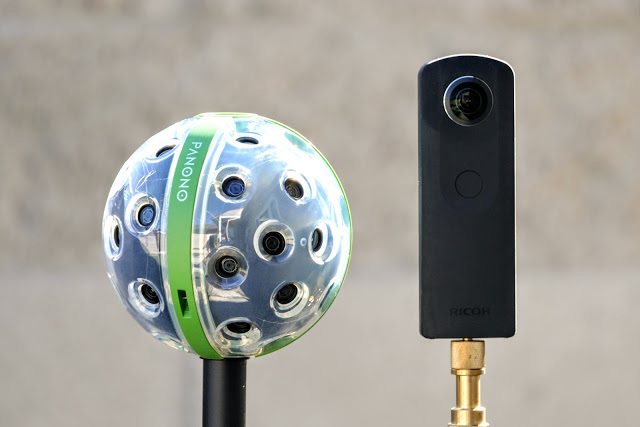 The Panono is a 360 camera with 36 lenses and sensors. With a resolution of up to 108 megapixels (16,384 x 8,192), it had been the highest resolution 360 camera (until the Staro) and has a stellar reputation for 360 photography. 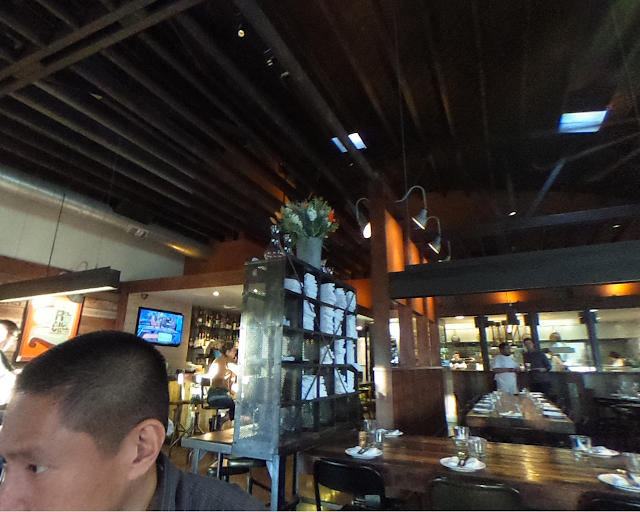 Incidentally, taking a 360 photo with the Panono is not as difficult as you might suppose. There are different triggering methods but it generally takes just one push of a button. In this case I used Wi-Fi triggering with my phone, while the Panono was on a Benro MK-10 selfie stick / tripod. Please note the Panono shot was taken in HDR mode which combines three exposures, hence the slight blurring of our faces. 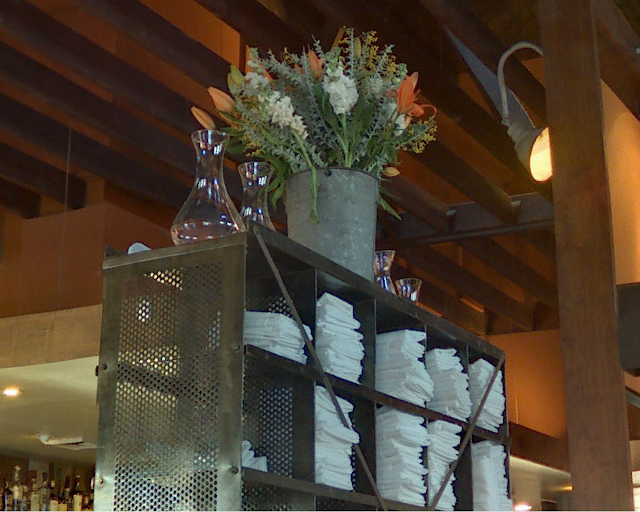 In the Theta shot, the holes on the shelf as well as the napkins blend together. On the Panono, you can clearly see the individual leaves of the flower and the holes on the shelf, and they are sufficiently distinct that you can count them individually if you were so inclined. 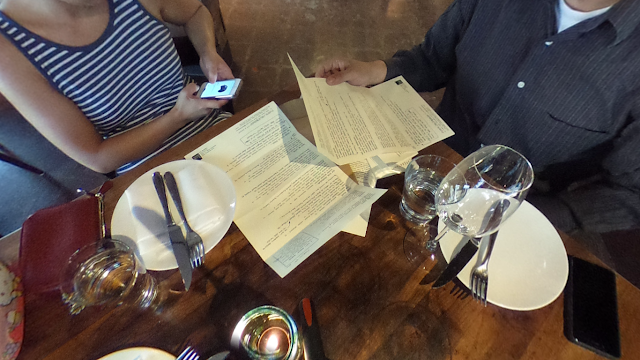 Please note the Panono does have its own challenges such as the less-than-perfect stitching. 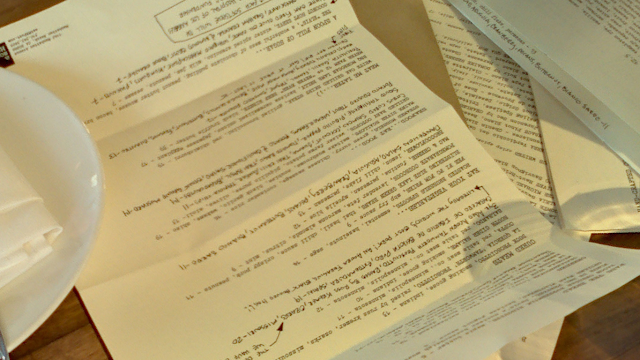 I will discuss these (plus some solutions) in an upcoming detailed review of the Panono. Panono is available from B&H Photo. Please note also that this is just a quick informal comparison. I’m gearing up to do a more comprehensive comparison in the coming week with eight cameras (Ricoh Theta S, Samsung Gear 360, Insta360 Nano, Insta360 Air, LG 360 Cam, Nikon Keymission 360, Kodak SP360 4k Dual Pro, and the Panono). Please stay tuned!